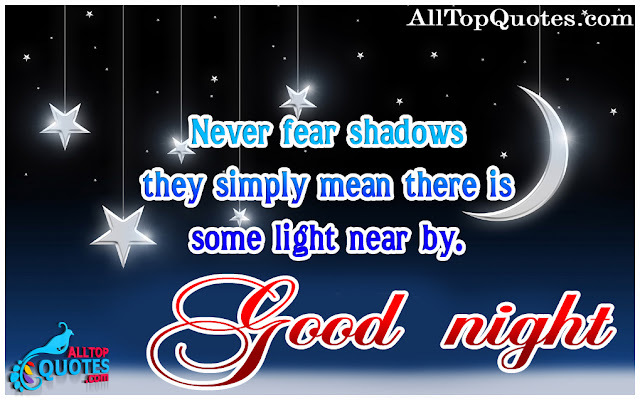 Get latest and best Good Night quotes 2019 in English language. Forget all your worries what you have experienced all the day and have a peaceful night. Never fear shadows as they simply mean there is some light near by. So follow your dreams.